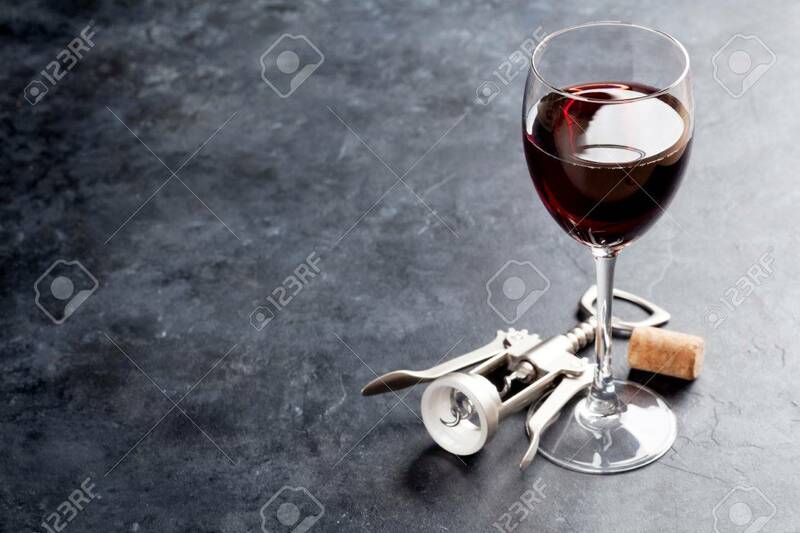 Red Wine Glass And Corkscrew On Stone Table. With Copy Space Stock Photo, Picture And Royalty Free Image. Image 71670219.